Offshore wind energy giant MHI Vestas made two landmark announcements last week with the official opening of its European Offshore Wind Deployment Centre (EOWDC) in Aberdeen, Scotland, and the signing of a turbine supply order of the world’s most powerful turbines for the WindFloat Atlantic floating offshore wind farm in Northern Portugal. MHI Vestas — which is the resulting company out of the joint venture between Vestas Wind Systems A/S and Mitsubishi Heavy Industries — is one of the world’s leading designers, manufacturers, installers, and servicers of offshore wind turbines. The largest offshore-only original equipment manufacturer (OEM), MHI Vestas is doing well enough for itself that it even managed to eke into the top 10 OEMs in 2017. The company is also responsible for the currently most powerful wind turbines on offer — with its V164 9.5 megawatt (MW) passing its final hurdle in late June in being awarded an S class type certificate, paving the way for installations to begin in late 2019, as well as the current 8.4 MW (and the optimized 8.8 MW) wind turbines which were both installed at the European Offshore Wind Deployment Centre off the coast of Aberdeen, Scotland, and which was officially opened this past week by MHI Vestas and project developer Vattenfall. 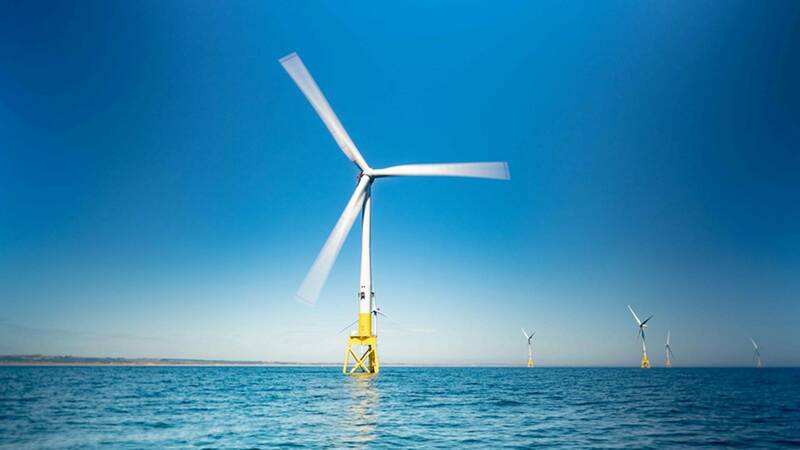 The 93.2 MW EOWDC is the world’s leading offshore wind test and demonstration site, and highlights Scotland’s continued role as a leading player in the world’s offshore wind industry. Consisting of 11 MHI Vestas v164 turbines — nine of which are rated at 8.4 MW and two at 8.8 MW — the project is now home to the world’s most powerful operational wind turbines. However, despite Trump’s protestations and ghost-written attacks, the project fast-tracked development and was officially opened on September 7. Home to not only the world’s most powerful wind turbines, development also included the use of new suction bucket jacket foundations which were completed earlier this year, and will also be home to wildlife and socio-economic impact studies, making it the heart of offshore wind scientific research. Only three days after the company helped officially commission the EOWDC offshore wind farm, MHI Vestas made news again with the announcement that it would be providing three of its 8.4 MW wind turbines to the WindFloat Atlantic floating offshore wind farm which is set for development off the coast of Northern Portugal. Upon completion the project will be home to the largest and most powerful turbines ever installed onto a floating foundation at sea. WindFloat Atlantic is expected to be built 20 kilometers from shore at a sea depth of 100 meters and to generate enough electricity for the equivalent of 18,000 homes. However, while this will contribute greatly to Portugal’s aim of being carbon neutral by 2050, MHI Vestas believe that its greatest benefit will be the data and experience provided through its installation and commissioning techniques, turbine performance, foundation performance, main component interactions, and ultimately, its power production. The project is being developed by a consortium led by Spanish renewable energy company EDP Renewables named WindPlus, which signed the firm wind turbine supply order with MHI Vestas. WindFloat Atlantic will make use of its namesake’s semi-submersible WindFloat foundations.